Cindy and Craig Corrie have been doing speaking engagements a few times per month since their daughter Rachel died kneeling in front of an Israeli Defense Forces bulldozer in Gaza nearly three years ago. The 23-year-old peace activist’s death became such a fulcrum for a debate that President Bush and Israeli Prime Minister Ariel Sharon eventually weighed in on it. 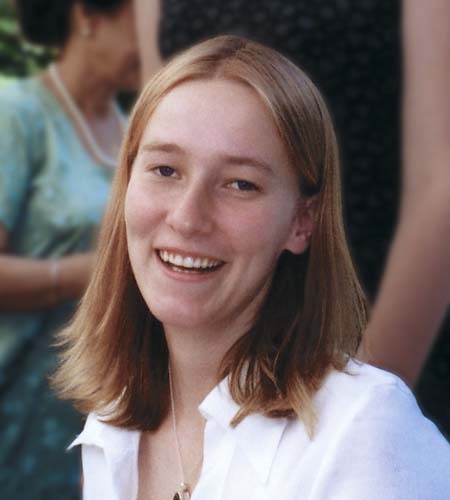 An Israeli military investigation concluded that Rachel’s death on March 16, 2003 was accidental; the Corries have requested that U.S. officials conduct an independent investigation. But, rather than focus on the details of that unforgettable day at speaking engagements, they try to honor Rachel’s life by continuing the work she hoped to accomplish. 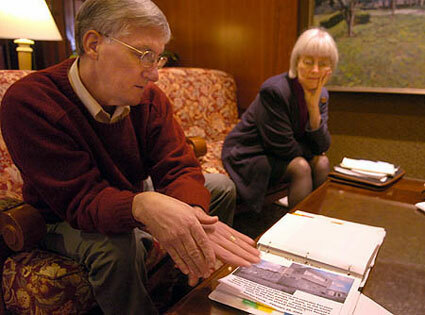 The Corries, who live in Olympia, Wash., will touch on those global issues and the Israeli-Palestinian conflict in a discussion tonight at the University of Pittsburgh. Their talk will follow a screening of a documentary about Rachel’s work by Palestinian director Yahya Barakat. 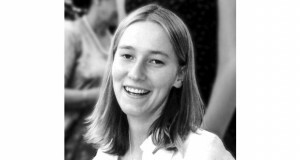 Rachel was a senior at Evergreen State College when she set off for Gaza in January 2003 with the International Solidarity Movement, a group that practices peaceful civil disobedience to prevent demolition of Palestinian homes and infrastructure. Her death thrust Ms. Corrie, 58, and Mr. Corrie, 59, who describes his extended family as “average Americans — politically liberal, economically conservative, middle class,” into the heat of a geopolitical struggle that Rachel feared too few Americans understood. Rachel rattled off a list of potential careers for her fifth-grade yearbook that included a lawyer, a poet, “an environmental and humanitarian activist” and the first female president. They heard machine-gun fire in the background the first time she spoke with Rachel on the phone. Rachel was bunking with the children in the first floor of a duplex that belonged to a local pharmacist, Dr. Samir Nasrallah, and his wife. The Nasrallah children were behind her, inside their home, when a 65-ton Caterpillar bulldozer crushed Rachel to death. “There are many people who are doing what Rachel was doing in Palestine and other parts of the world,” Mr. Corrie said. But the Corries clearly admire their daughter for taking a stand. “Wouldn’t we all like to think we’re the kind of person who, if a child was in front of a bus, we would dive and save them?” he asked. The film “Rachel: an American Conscience” will be screened at 7:30 tonight at 120 David Lawrence Hall, University of Pittsburgh. Cindy and Craig Corrie will lead a discussion.